"I wasn't impressed with this crab recipe. 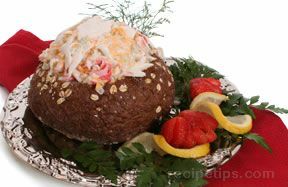 It was kind of dry and didn't have ... read full review"
Squeeze excess moisture from thawed or canned crab meat. Separate meat into shreds. In a saucepan combine milk, butter, mustard, onion, celery salt, horseradish, soy sauce, pepper and sherry. Heat to boiling; remove from heat. Crumble saltines into hot mixture. Add mushrooms and crab meat. Mix thoroughly and place in 8x8" baking dish. Sprinkle cracker crumbs on top. Dot with butter. Bake in 350 degrees F oven for 20-25 minutes. 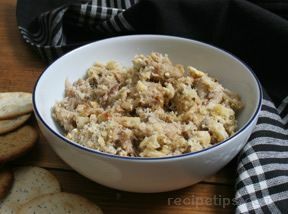 NOTE: Makes a great warm spread for your favorite crackers and cocktail bread. "I wasn't impressed with this crab recipe. It was kind of dry and didn't have much flavor. 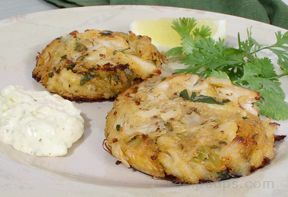 I won't keep this recipe because there are so many other good crab recipes available that I would rather make instead."